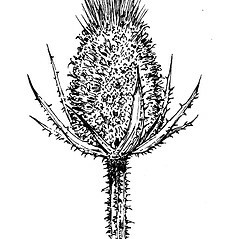 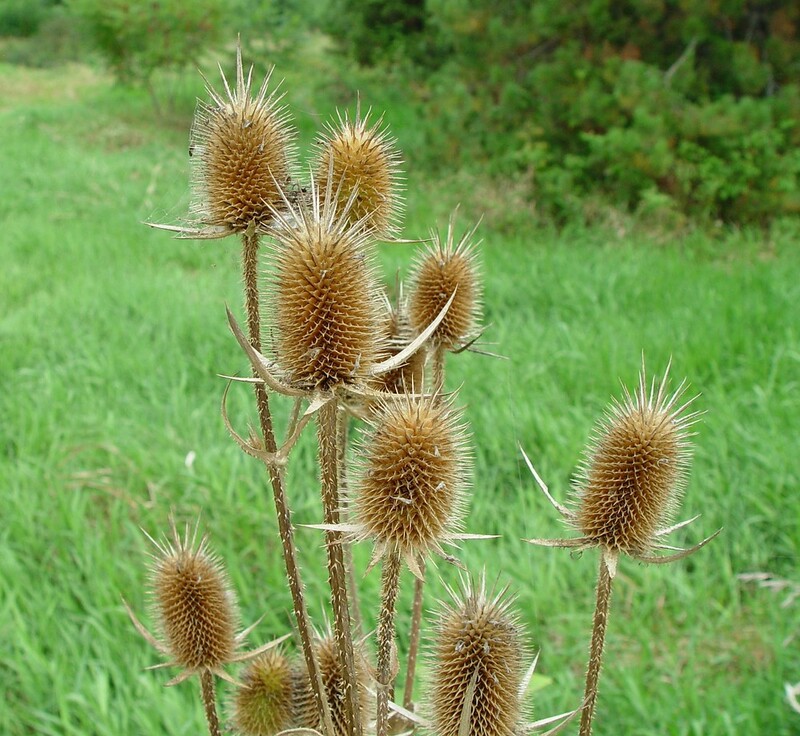 Cut-leaved teasel is a Eurasian import, entering North America in the eighteenth Century and now found in northern North America from Virginia to Colorado. 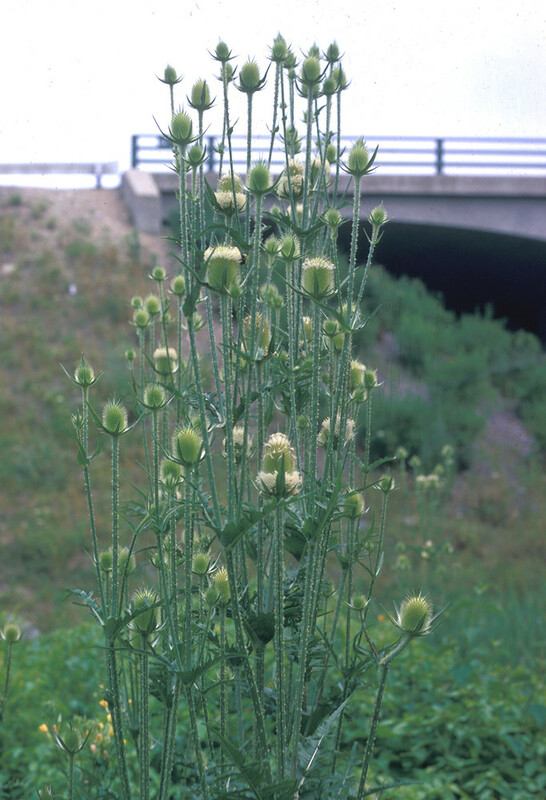 In New England it is a visitor to fields, roadsides and waste areas in Massachusetts and Vermont. 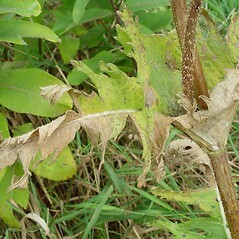 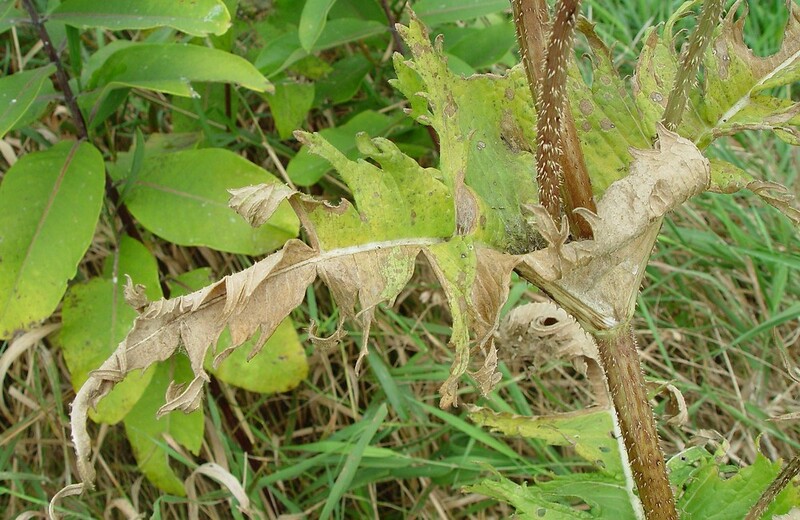 stem leaf blades toothed to entire, but not lobed, and involucral bracts linear (vs. D. laciniatus, with stem leaf blades irregularly lobed and involucral bracts narrow-subulate). 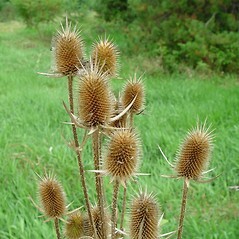 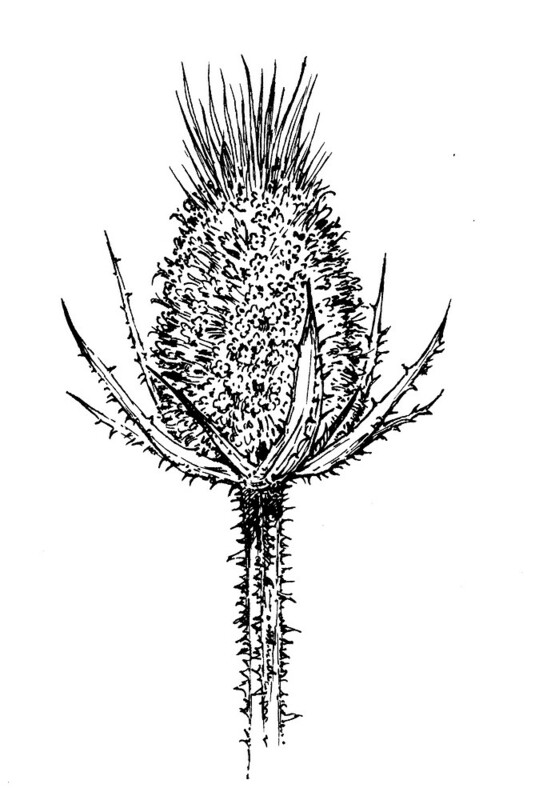 cut-leaved teasel. 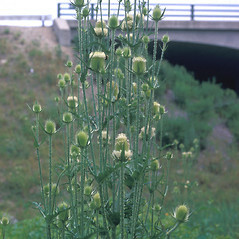 MA, VT. Fields, roadsides, waste areas.